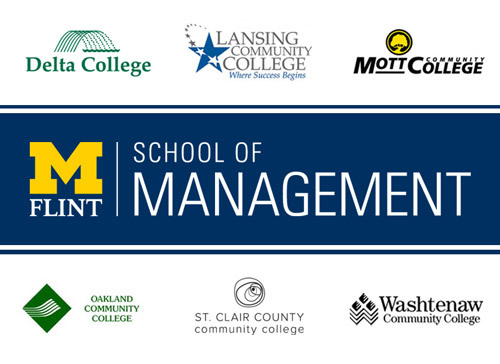 Throughout the course of the school’s history, the School of Management has forged partnerships with a number of community colleges across the state of Michigan to provide an easier transition for their students when transferring to UM-Flint in pursuit of a BBA degree. This year, a new initiative was put in place to provide financial support to the highest achieving students from our partner schools. 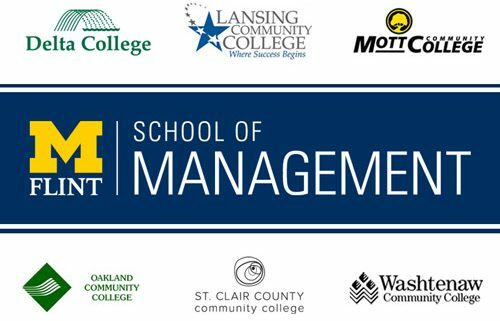 The School of Management is pleased to annouce that 18 top transfer students from six community colleges around the state of Michigan were awarded scholarships from the School of Management totaling $32,000 for the 2014-2015 academic year. The School of Management proudly welcomes these outstanding undergraduate students who bring an average GPA of 3.6 and average accumulated credits of 63.